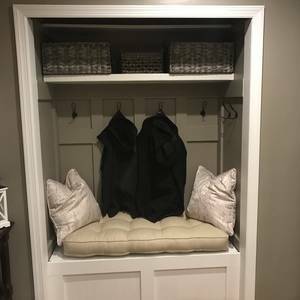 We love how you opened up the space to create a cozy nook. It adds so much style. Great job! Thank you! It definitely does make the room appear to be larger.